What Are the Darksteel Cards in Magic? 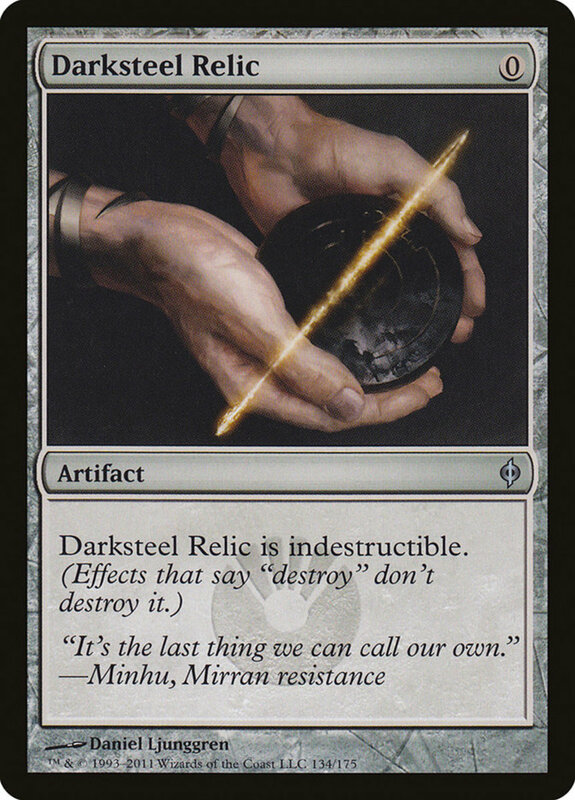 In Magic, the Darksteel cards are a set of generally colorless artifacts. 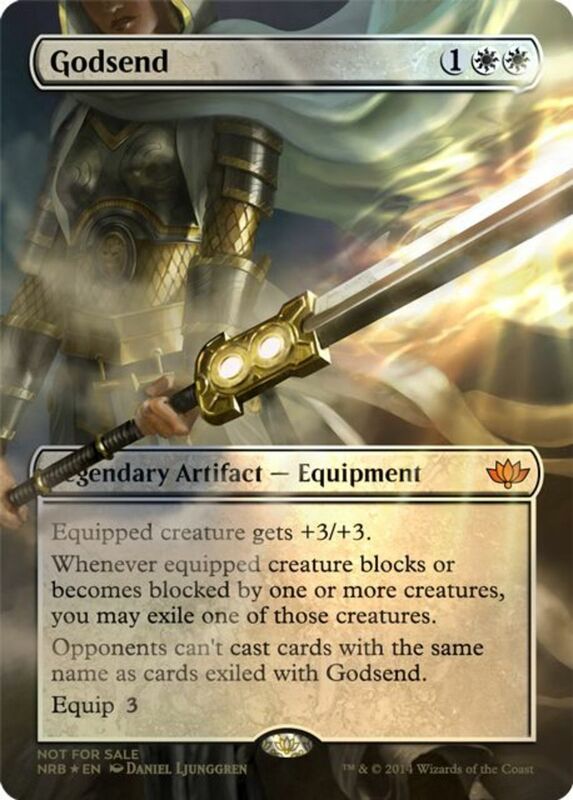 They arrive with a variety of mana costs and subtypes, but nearly all possess the valued indestructible trait, making them immune to the most common form of removal—destruction. Since they're colorless, Darksteel members can fit into any structure, often catching opponents by surprise, and their barricade against damage makes them annoyingly difficult to remove. But with dozens of famed treasures available, which relics reign supreme? These are the ten best Darksteel cards in Magic: The Gathering! Like his kin, artifact-creature blend Juggernaut carries the indestructible trait, making him intimidating in battle since he can't be scratched. He costs a hefty chunk of five mana, but his power and toughness scale to match the amount of artifacts you control. Counting himself, this should be at least one, but if you've been diligently swarming your relics (use thopter and treasure tokens for fast and easy artifacts), Juggernaut quickly grows to massive sizes. However, this berserker is forced to attack each combat if able; his indestructible trait should protect him, but exercise caution, as this means he'll be unavailable as a blocker on your opponent's move. Mutation is an oddity among the Darksteel clan, as it's actually an aura enchantment, not an artifact, and rather than being entirely colorless, it needs one white mana. 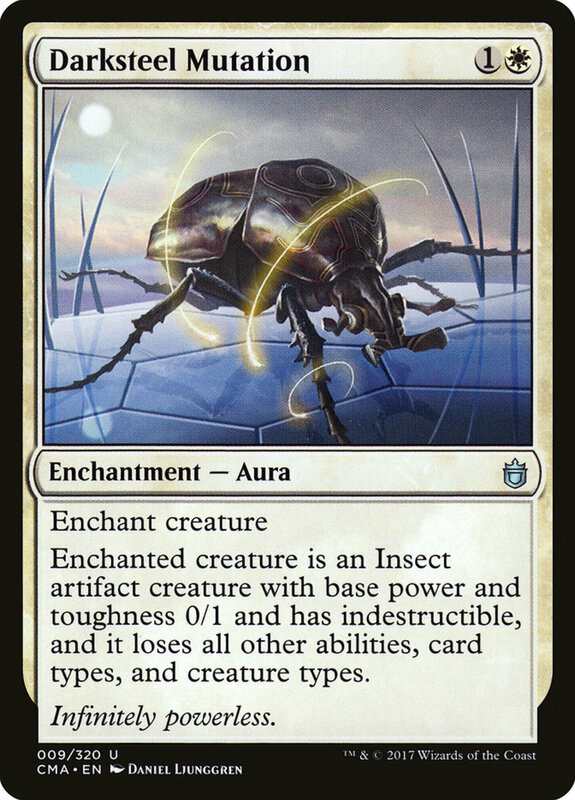 However, once attached to a creature, Mutation's Darksteel lineage becomes apparent, as it morphs its victim into an insect artifact creature token with 0/1 stats and indestructible. Handing your foe an indestructible unit may seem counterintuitive, but remember Mutations weakens their battle prowess and eliminates their other abilities, neutering your opponent''s ace monster. Plus, all it takes to exterminate your dilapidated foe is a single -1/-1 counter, causing its toughness to hit zero, a state that kills even indestructible troops. 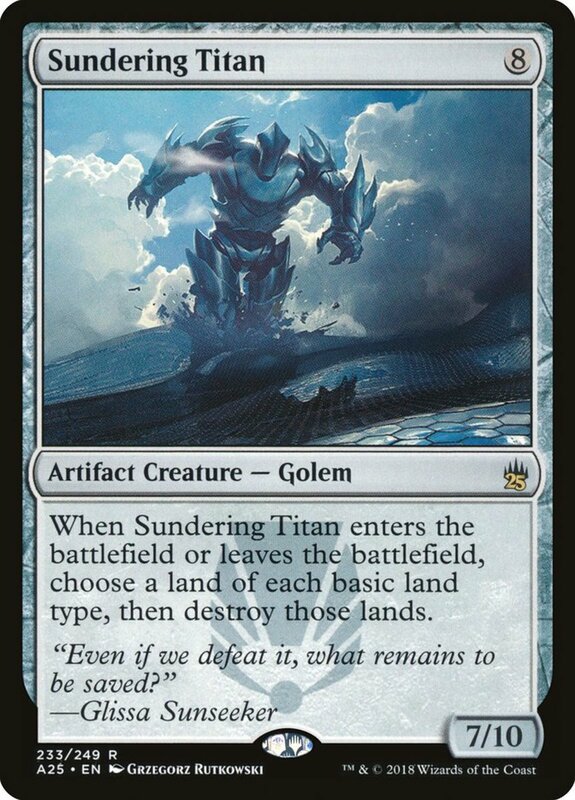 Like cards such as "Commander's Sphere" and "Chromatic Lantern", Ingot is a three-cost artifact that can tap for resources, offering some nice mana ramp even outside the green faction. It's pretty straightforward, as it simply taps for any color (especially useful in multicolor decks) and bears indestructible, making it a pain to remove. 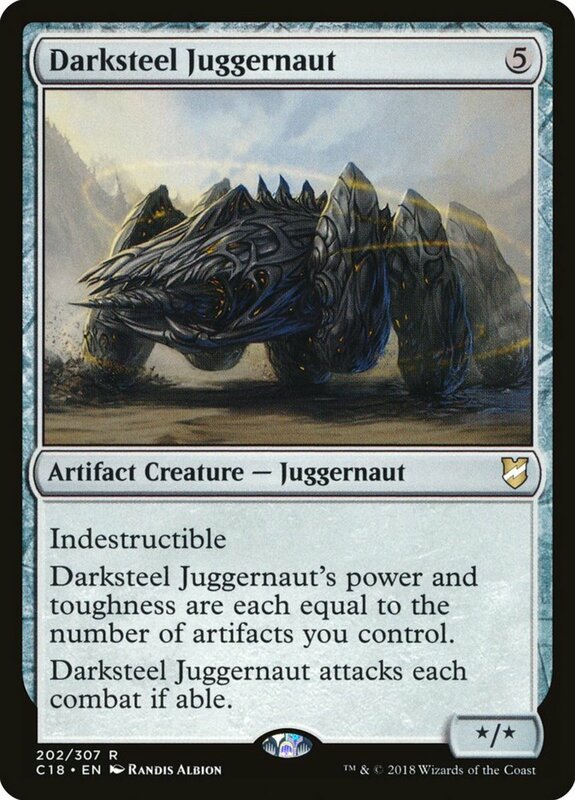 Remember, artifacts (unlike creatures) can immediately exhaust, letting you access Ingot the turn it arrives, and in addition to its own abilities, simply having Ingot fielded can strengthen cards like Juggernaut. Here's an interesting one. Darksteel Relic has no abilities or effects beyond indestructible. So, what's the point of utilizing it? Well, Relic costs a grant total of zero mana, letting you field it for free, and its status as an artifact empowers several other cards, making it a surprisingly useful treasure despite its seeming irrelevance. As an artifact equipment card, Darksteel Axe can empower creatures. You first need to pay its initial mana cost of one, then two more whenever you attach it to a unit. The equipped soldier receives a solid power boost of +2/+0, letting it hit enemies harder. 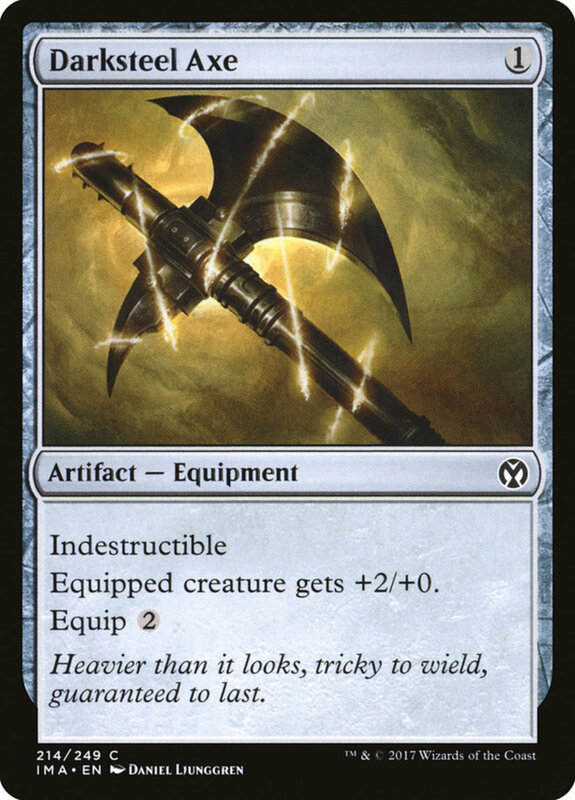 Of course, Axe also bears indestructible, so if nothing else, it serves as a slightly more expensive Relic, costing one mana to stay fielded and empower cards with its artifact status. Then, whenever you find yourself with a few leftover resources, attach it to a creature to grant them an appreciated upgrade. Two birds with one stone. Darksteel Forge is incredibly useful in the right builds, but you'll likely have to use free-artifacts gimmicks to attain it, as its base cost nine mana is far too expensive in most situations. 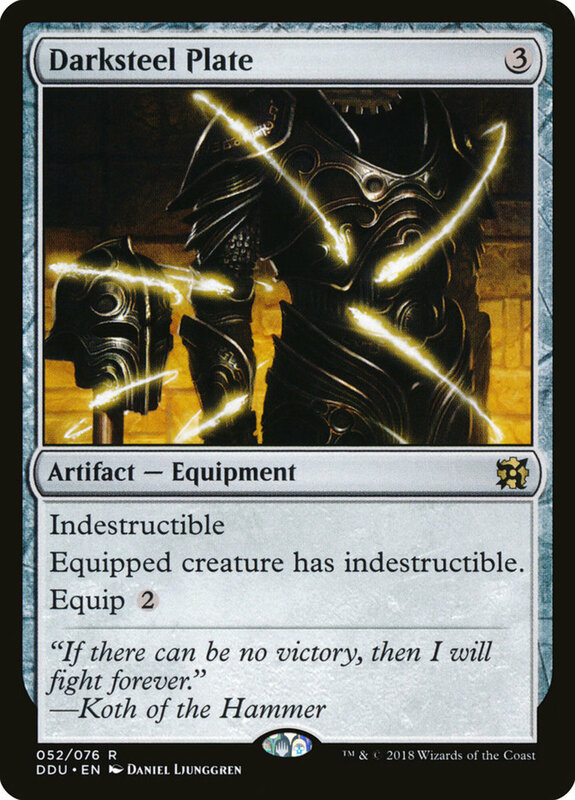 But once out, Forge grants all your artifacts (including itself) indestructible, protecting a huge portion of your permanents in artifact-heavy decks. Of course, this applies to artifact-creature duos as well; use Forge to harness an army of invincible relic soldiers who can strike without fear of retaliation. Like Axe, Plate is an equip card that can boost a creature, and it shares an equip cost of two, but requires a base price of three mana. However, to reward your efforts, this set of armor grants its bearer indestructible, making any soldier immune to destruction. When outfitted with Plate, you'll have an indestructible creature bearing an indestructible equipment. Yikes. If your adversary doesn't have an exile or bounce removal handy, they'll soon fall prey to your untouchable assault. To reduce both the base and equip costs of Plate, use many of white and red's equipment support cards to access your arsenal that much faster. 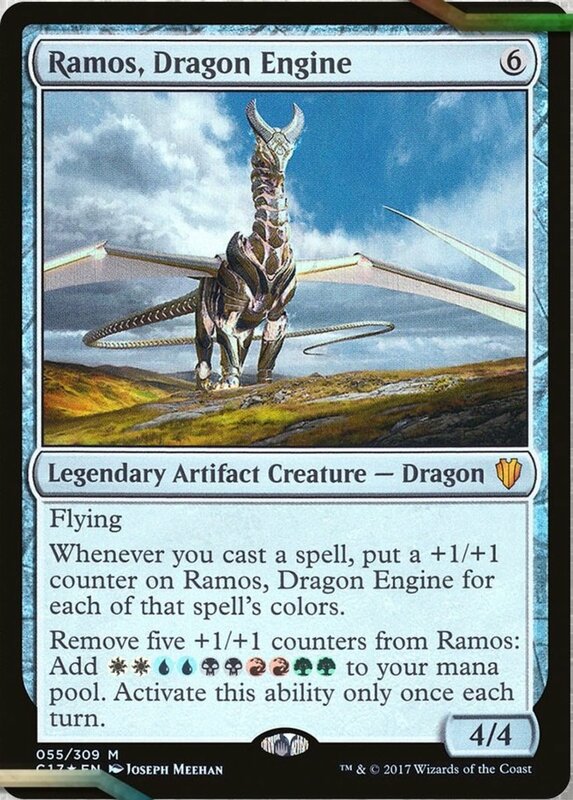 If you thought Forge was mana-draining, check out Colossus, who costs a whopping eleven mana! However, since he's an artifact-creature blend, you can summon him with green's free-creature spells (like "Norwood Priestess" and "See the Unwritten"), adeptly avoiding his intense fee. 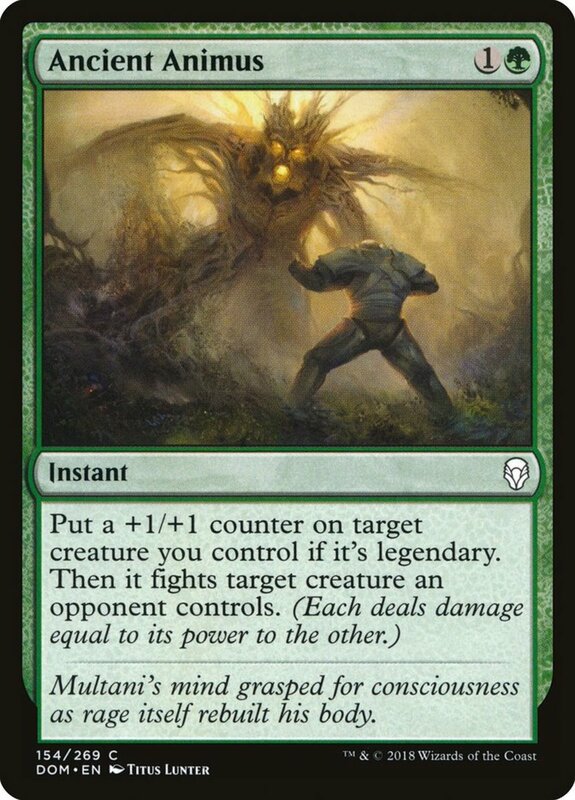 To justify your efforts, Colossus brandishes an amazing 11/11 power and toughness, decimating foes in battle. As if that weren't sturdy enough, he carries indestructible as well as trample, bleeding excess damage through blockers. 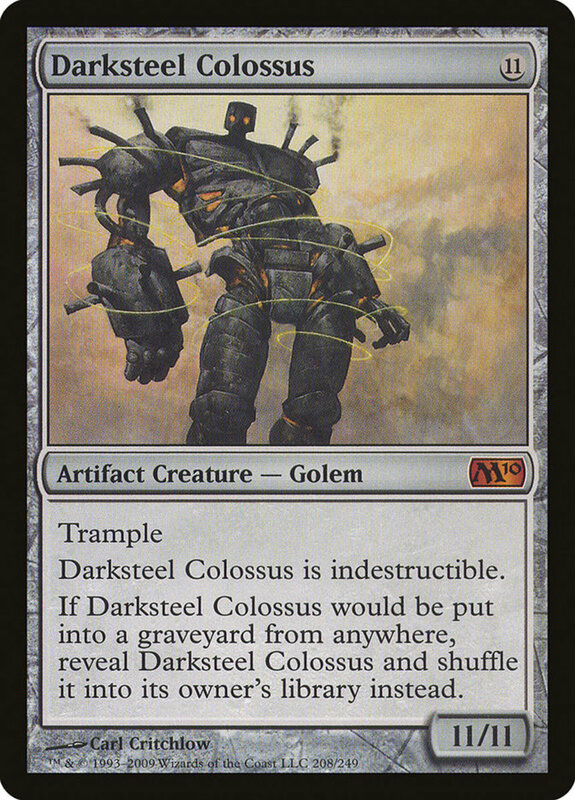 Overall, a daunting unit who few rivals can last long against; just note that Colossus shuffles himself into your library if sent to the graveyard, so you can't gimmick him into play with graveyard revivals. 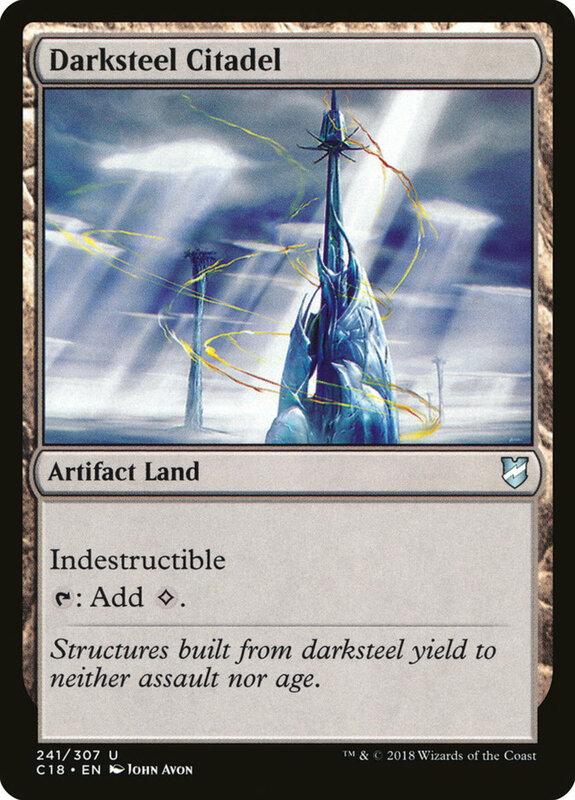 As an artifact land, Darksteel Citadel simply taps for one colorless mana. In color decks, you'll want other lands to provide your necessary hues, but most colored spells allow some colorless mana in their costs, so you'll hardly notice this handicap. 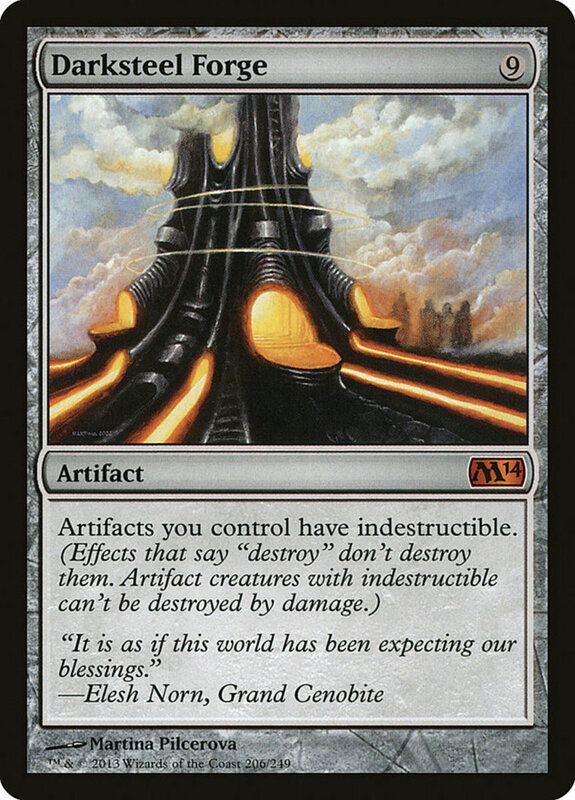 Citadel's indestructible trait defends against land destruction (something you can exploit by using mass-land wipes and surviving the blast), and its duo status as an artifact helps empower relic-dependent cards. Basically, Citadel's a wastes land with two useful bonuses, making it invaluable even outside of Darksteel arrangements. I use Citadel in several EDH decks to shield against land removals, and especially recommend it for its surprisingly low price, costing well under two dollars! Reactor requires a fair chunk of four mana, but it changes the entire nature of your game thanks to its alternative win condition. At the beginning of your upkeep, you can place a charge counter on Reactor, and when it collects 20 or more, you immediately win the game! Thus, all you have to do is survive; utilize the game's best defensive spells to endure long enough and steal an instant win. 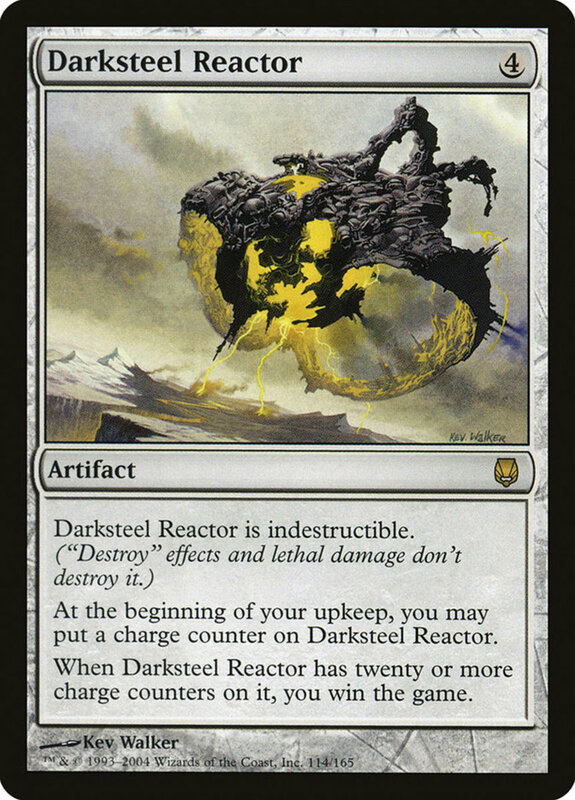 And of course, Reactor is indestructible, limiting your adversary's ability to remove it. 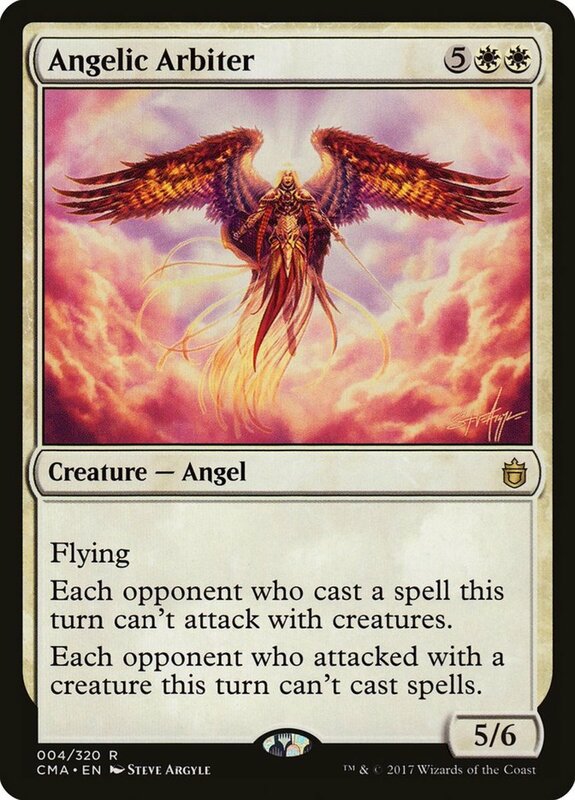 Now, twenty turns may sound like a lot of time, and it is, but you can hasten the process with the proliferate ability or enchantments like "Doubling Season" that increase your counter attainment rate, letting you seize a victory before your opponents know what hit them. We've examined the best Darksteel units available; here's a quick list of recommended supports. If you're using Reactor, defensive spells like "Fog" and "Ghostly Prison" buy you the time you need, and planeswalkers Tezzeret and Daretti both offer multiple artifact-supporting forms. 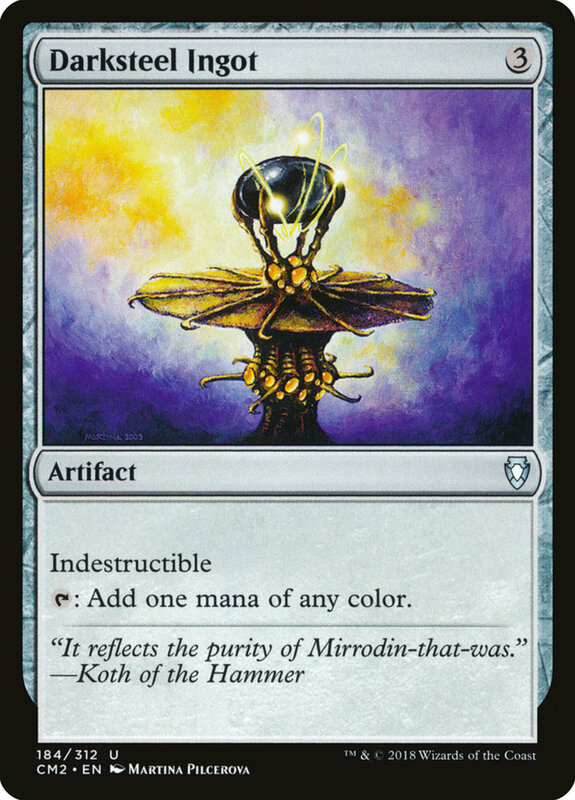 If you're devoted to colorless mana, eldrazi and vehicles round out your creature arsenal, but watch out for white's infamous "Return to Dust" removal, which exiles two artifacts/enchantments, a powerful counter against the Darksteel clan's imperviousness to damage. Perhaps we'll explore example Darksteel builds in the future, but for now, as we eagerly await Wizards of the Coast's next expansion of artifact-supporting spells, vote for your favorite card and I'll see you at our next MTG countdown!